Jergens fixture plate machining kits consist of extra-long Ball-Lock shanks and spacers. These kits allow a fixture plate to be installed on a subplate with clearance between the plates. 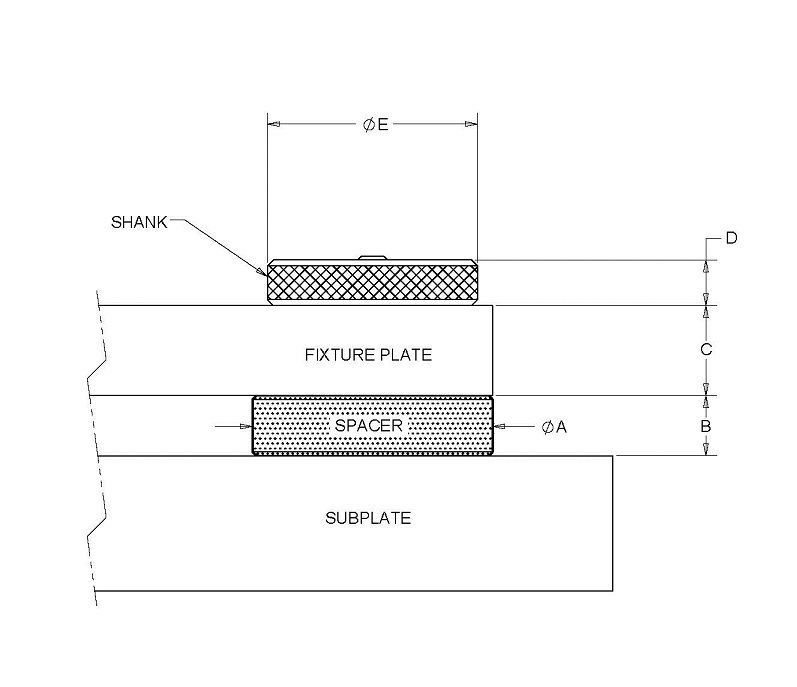 When a user is initially building a fixture on a Ball-Lock Fixture plate, this clearance allows cutting tools to break thru the fixture plate without damaging the subplate below. The advantage of this setup is fixture plates can be machined while mounted to the same subplates they will used with in production.